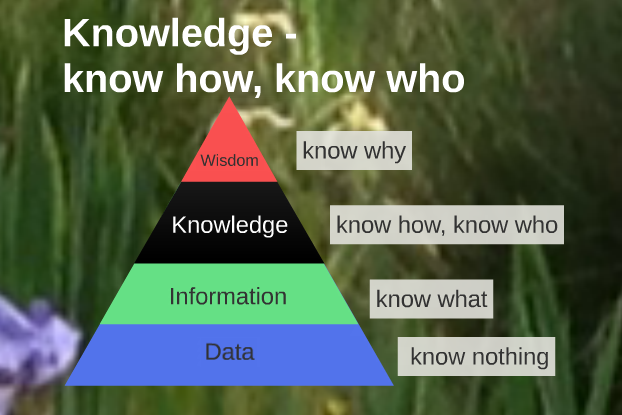 It is easy to muddle up the terms: data, information and knowledge. This pyramid attempts to clarify it for you visually. Data are the bits and bytes that, on their own, are meaningless until someone does something to transform them and provide meaning. Wisdom in the pyramid context is about insight. Governments around the world, starting with the UK government, have introduced Behavioural Insights units which use insights from behavioural science to encourage people to make better choices for themselves and society. Where behavioural insights is a science, knowledge-sharing is not. This Knowledge Maverick takes an arts and humanities approach, what Daniel Pink, author of A Whole New Mind, would call right brain thinking. This Knowledge Maverick thought you might want to check this out. This infographic shows how McCandless transforms data and information into a story (a very worthy, informative example). Here’s a fun one where he shows one thing that every country is good at. In the spirit of openness and for those interested in data, McCandless provides access to the data behind the graphics too!